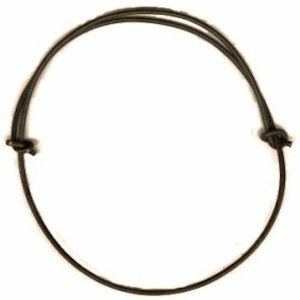 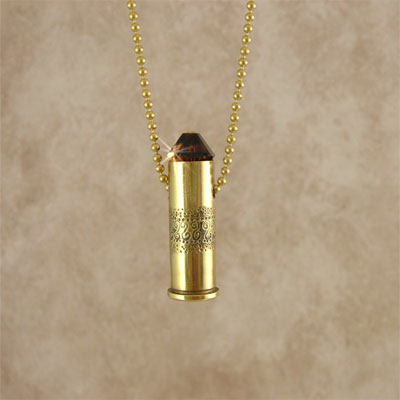 A perfectly balanaced .38SPL Winchester bullet is your attention getter. 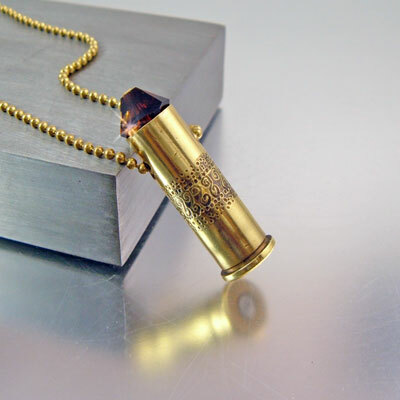 A simple yet stylish design has been hand carved into the casing. 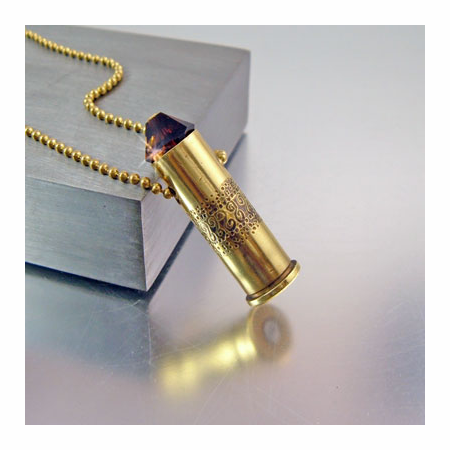 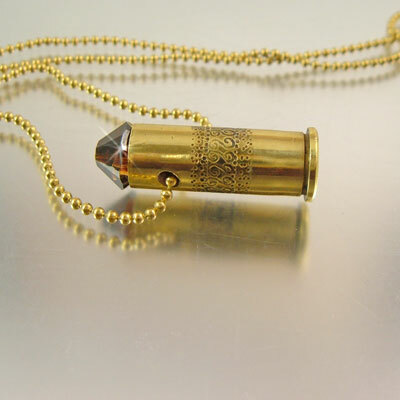 A chocolate brown Swarovski crystal adorns the tip of this bullet necklace.